Today we are unveiling the first installment in a video series we have captured highlighting China BioPharma ETF (Nasdaq: CHNA) companies and the important work they are doing. Rather than just tell you about the companies, we wanted to show you them. These videos highlight the people, facilities, and science, and allow you to hear straight from CEOs about what their work is focused on. Our team traveled to Shanghai and Hong Kong this fall on your behalf because we wanted to give you this visual sense of what it is like to visit these impressive companies. We captured footage with four CHNA ETF companies and also made a visit to the Hong Kong Stock Exchange. We hope you enjoy these behind the scenes looks at what the biopharmaceutical industry is like in China. Watch for the videos to hit your inbox in the coming months. The first video released today is with Zai Lab (Nasdaq: ZLAB). The company is based in Shanghai and was founded in 2014 by a Chinese entrepreneur named Samantha Du. Dr. Du began her career with Pfizer in the United States where she worked on the scientific side of Pfizer’s global metabolic licensing program. 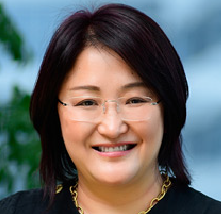 Since returning home to China, she was a co-founder and Chief Scientific Officer of Hutchison China MediTech, and managing director of healthcare investments for Sequoia Capital China. In this video, you will hear Dr. Du talk about her passion for improving lives of patients through drug development and why she thinks China is on the rise in life sciences. Also featured are Zai Lab CFO Billy Cho and the Chief Medical Officer for Oncology Yongjiang Hei. As Dr. Hei says in the video, Zai Lab has been a pioneer in its business model. The company has a good understanding of Chinese patients and how to develop drugs in China and has started off in-licensing drugs from biotech companies in the United States that might be well suited for the region. Developing these drugs locally requires this China specific knowhow. In the meantime, they are also focused on developing the internal capacity to discover new things of their own. Given how drug discovery takes a long time, this model of in-licensing might given Zai Lab the near term revenue needed to establish its business until that longer term strategy of internal innovation gets into high gear. Below is a look at Zai Lab’s current development pipeline. You will notice a heavy emphasis on cancer research, but also autoimmune and infectious disease. One of Zai Lab’s lead programs revolves around the cancer drug Niraparib, which was in-licensed from Tesaro in the United States. This is a PARP inhibitor, which works by blocking a cancer cell’s ability to repair breaks in DNA and replicate. Other popular drugs in this class include AstraZenca’s Lynparza and Clovis Oncology’s Rubraca. Zai Lab is developing Niraparib in China for cancers such as ovarian, lung, and others. In fact, Niraparib was recently approved for patients with relapsed ovarian cancer in Hong Kong and the company has already started commercializing it there. This is their first opportunity at earning revenue from the sale of a new medicine. 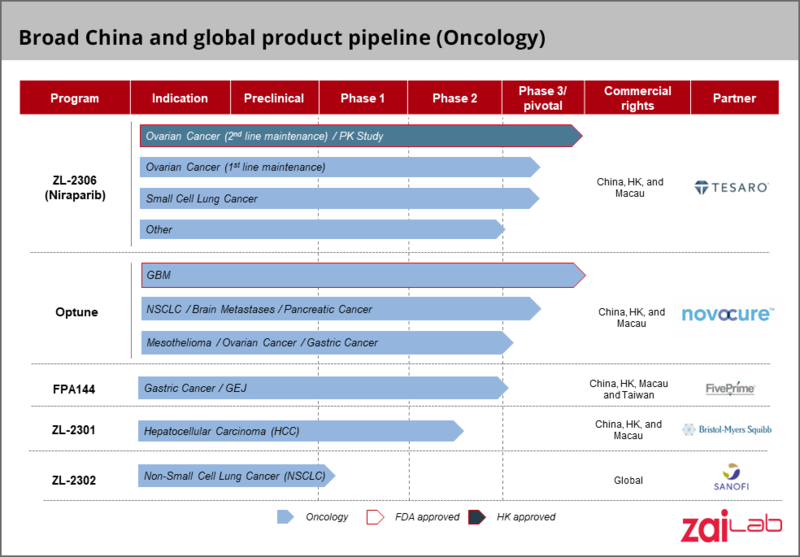 They also have multiple phase 3 studies ongoing in mainland China in some of those other indications and hope to commercialize it there one day soon as well. Another program we find interesting is Zai Lab’s partnership with Five Prime on FPA144 in gastric cancer. The incidence of gastric cancer in China is significantly greater than the United States, with 680,000 new cases annually. Given the importance of this market for the drug, Zai Lab was able to secure a worldwide royalty on it when they signed the deal with Five Prime. 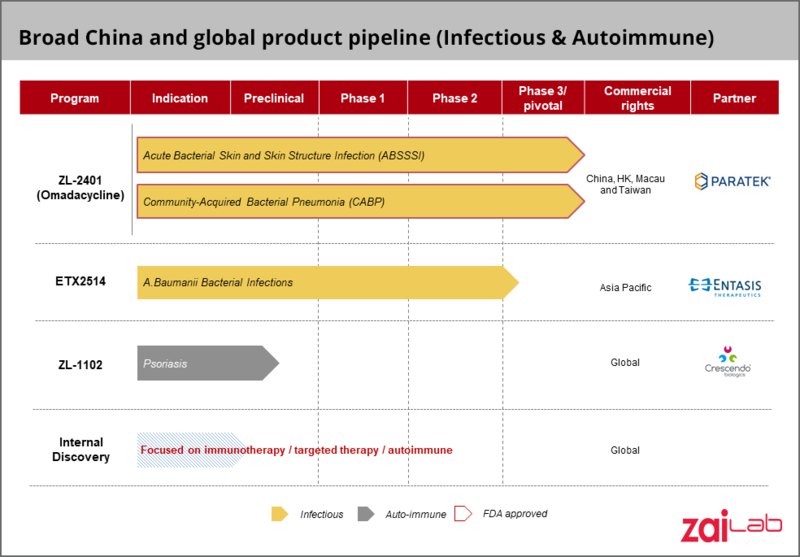 The two companies announced on October 1st that the first patient has been dosed in a phase 3 global registration trial for which Zai Lab is conducting the China cohort. FPA144 is an isoform-selective FGF receptor 2b (FGFR2b) and patients are being selected who over express FGFR2b so this is considered a targeted therapy. Gastric cancer is a big unmet need that is very difficult to treat and we wish both companies luck on this program. in the United States and by regulators in Europe for the treatment of a type of brain cancer called glioblasta multiforme (GBM) and is also under development for other types of cancers as well. The marketing name for the GBM treatment is Optune. GBM is a challenging cancer to treat and Optune has proven itself to make a difference for some patients. Zai Lab will be the exclusive developer and distributor of Optune in Greater China. There is currently only one approved therapy in the country for GBM, a drug called Temozolomide, and new therapies are needed because this is another very difficult to treat cancer. The China BioPharma ETF would like to thank Zai Lab for its participation in our video series and we wish everyone there the best of luck as they aim to make a difference for patients. We also hope that you, our investors and other readers, find these videos to be valuable educational tools. Our strong belief is that there is something special brewing in China’s life sciences sector today, but it is hard to articulate the totality of it in words alone. Since not everyone has the opportunity to travel to China to see it in person, our aim is to bring China’s biopharmaceutical sector you through these videos. We hope they do justice to telling the story of how compelling the people, places, and science are in China today. Thank you for your interest in the China BioPharma ETF. See all holdings of the China BioPharma ETF. Opinions expressed are those of the author or Funds and are subject to change, are not intended to be a forecast of future events, a guarantee of future results, nor investment advice. Fund holdings and allocations are subject to change at any time and should not be considered a recommendation to buy or sell any security. AstraZenca, Clovis Oncology, FivePrime, Novocure, and Pfizer are not a holding of the Fund or affiliated with the Fund.